Grapevine, TX Saxophone Lessons Near Me | Fun Classes. Top Teachers. I teach all levels and all ages. 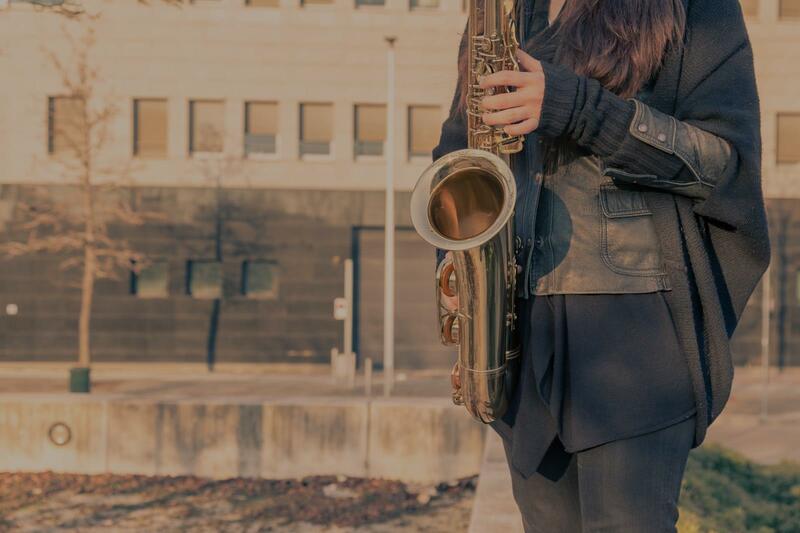 With over 20 years as a professional saxophonist and 15 years teaching experience I know the demands of a performing musician professionally and academically. I teach students how to produce a good tone quality with characteristic vibrato. I can teach students to become good at reading music. Students who are interested in jazz or pop styles of music will be taught improvisation techniques and how to play by ear. I've been teaching Saxophone for 15 years and my students have gone on to College, and other performing goals.I use a variety of books from the typical book you would use as a student in a band program to a more advanced method for other players. Each student is different so I try to evolve to meet their specific needs and learning styles. I love working with students of all ages and experience levels and I can't wait to meet you! I plan and offer yearly student performances to give students a practical application to their instruction. Professional saxophonist trained at top conservatories and colleges in the US and UK. Experienced in teaching all levels and ages, from beginner through college students. Students have won district and state competitions and have earned places in college programs. I am currently teaching saxophone at the University of Central Missouri where I teach music education and performance majors, as well as non-music majors. "Wright’s playing was tremendously technical and high-flying. So high-flying in fact, that when he reached for some of his highest altissimo notes my eyebrows shot up in sympathetic awe." - KC Metropolis Review, 5/29/18. I currently serve on faculty at the University of Wisconsin-Eau Claire, having previously taught saxophone at the University of Central Missouri. I am a Conn-Selmer endorsing artist. I hold music performance degrees from the Birmingham Conservatoire of Music (Bachelors), UK, and the University of North Carolina School of the Arts (Masters) and the University of Missouri Kansas City (Doctorate). der issues musicality and performance, too. I believe that the study of music should above all be enjoyable and this is important to me in my lessons, while still maintaining a certain discipline required to really get the most out of the study of instrumental music. Alastair has been a very patient and supportive teacher and has helped my daughter grow her interest in playing the saxophone. Very much looking forward to the next lesson. He's perfect for the adult learner. I've played the sax for 10 years and have some experience in music education. I know the instrument thoroughly and would love to share the fun of the sax with you. Years of experience playing in concert bands, jazz bands and more! ularly challenging because they're a bit more rigid in what they want. Carl is the perfect instructor for all ages. First he's extremely knowledgeable, making you confident he's leading you down the right path. He's has so much diversity in both instruments and styles that he's able to accommodate anyone. With this, he has been able to tailor lessons, mixing the basics with my desire to learn popular jazz tunes. He's picked up on the fact that I'm an engineer and have to understand everything I'm taught, so he's included music theory that makes the lessons, steps, and songs take on a more complete meaning (and improving retention). He's extremely patient and encouraging, as some of my lessons are after very long and tough work days; yet, he knows how to challenge you to ensure continued progress. It's coming up on a year that he's been my instructor and he’s made me so confident I'll stick with playing, that I upgraded to a professional instrument. Superb instructor." "Excellent teacher. My son (11y old) He enjoyed a lot, and he was so happy with his new teacher." no while I played sax."